IPS CRANES can provide American and Ohio Cranes with capacities ranging from 40/50 Ton to 55/115 Ton. Attachments such as hook blocks and Berminghammer Vertical Travel Leads and diesel pile hammers can also be rented and fitted at our Duluth MN plant before delivery. 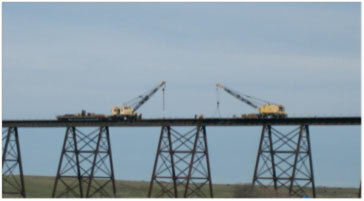 Locomotive cranes allow track and bridge maintenance to be performed with high capacity on-track equipment that in many cases avoids the construction of access roads or causeways, environmental permitting, and high mobilization costs associated with ground-based equipment. 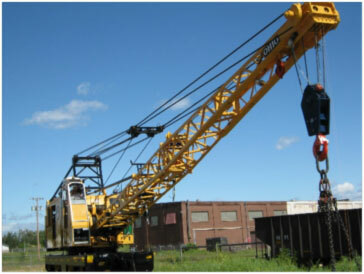 Locomotive cranes are ideal for work in inaccessible areas such as desert, mountain, swamp, high bridges, over water or where overhead clearance is limited such as tunnels and through trusses. 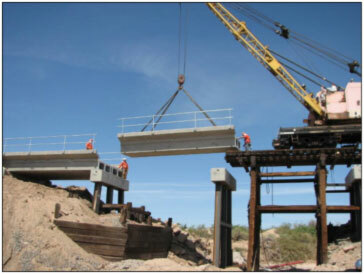 Construction material such as bridge beams, foundation piling and other large or heavy components can be delivered by rail car and readily unloaded and staged at the work site using the locomotive crane. 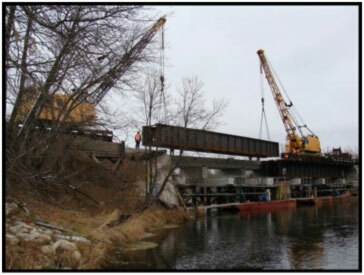 Construction material such as bridge beams, deck panels and foundation piling can be staged along the track right-of-way adjacent to the work thus reducing congestion at the work site. 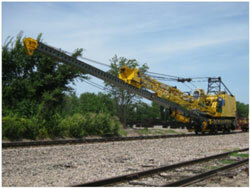 The Berminghammer Vertical Travel Lead (VTL) system is the best lead system for driving piling on railroad projects. 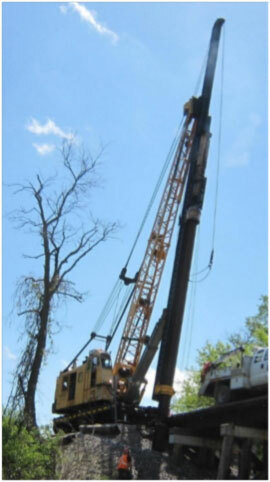 Pile lengths of up to 60 ft. can be readily driven and longer piling can be driven some in some circumstances. The VTL system excels in pile handling and accurate pile placement. All batter adjustments and final spotting are performed by the operator inside the cab using precise hydraulic controls. When traveling to and from the job site, the leads are quickly folded under the boom. The recently developed IPS CRANES folding gantry provides rated capacity at low boom angles for work in low headroom areas such as inside trusses and tunnels. The folding gantry also allows radii up to 5 ft. longer than boom length.